MVRDV has been selected as the designer of a 65,000sq m mixed-use complex that will redevelop a post-industrial site in Kiel Germany. 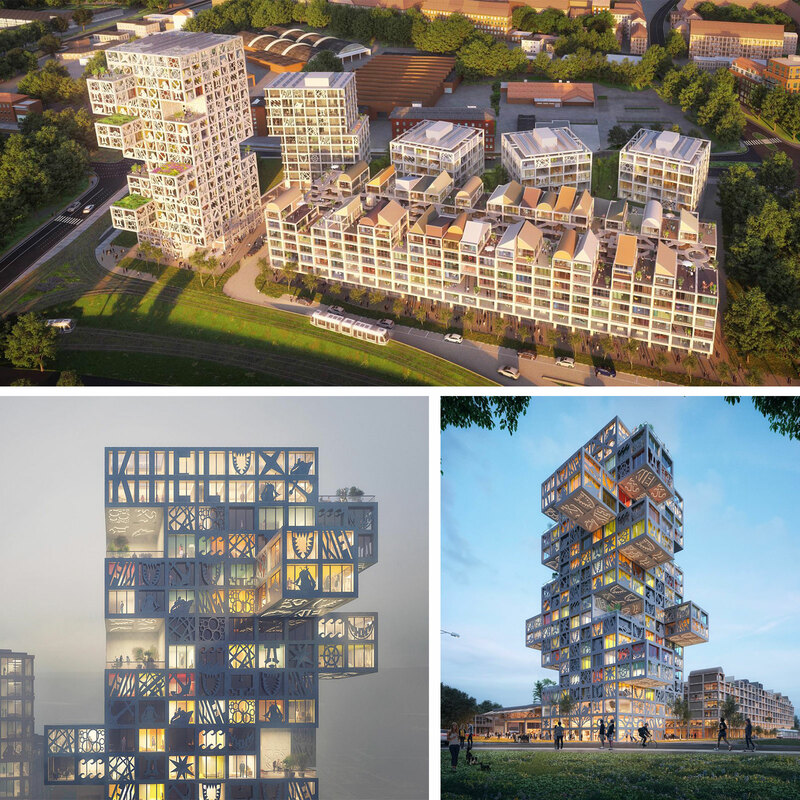 Already dubbed “KoolKiel”, the proposal is located in a formerly industrial area in Kiel, home to a population of around 250,000 located in the north of Germany. The current building occupying the development site is home to a variety of companies working in media and the creative industries. MVRDV says it’s this collection of tenants which has given the area a “unique and charismatic identity”, subsequently strongly influencing MVRDV’s design. “The project’s most eye-catching element is the façade panels, made from fibre reinforced concrete, which sit in front of the window and display a variety of icons inspired by the creative output of the locals,” the design firm said. But it’s MVRDV’s commitment to the community through a “flexible design system” to switch up the plans, as the design for the development progresses. While “KoolKiel” will see the redevelopment of a city block, the design firm says it is using a “progressive approach to participation and flexibility”. 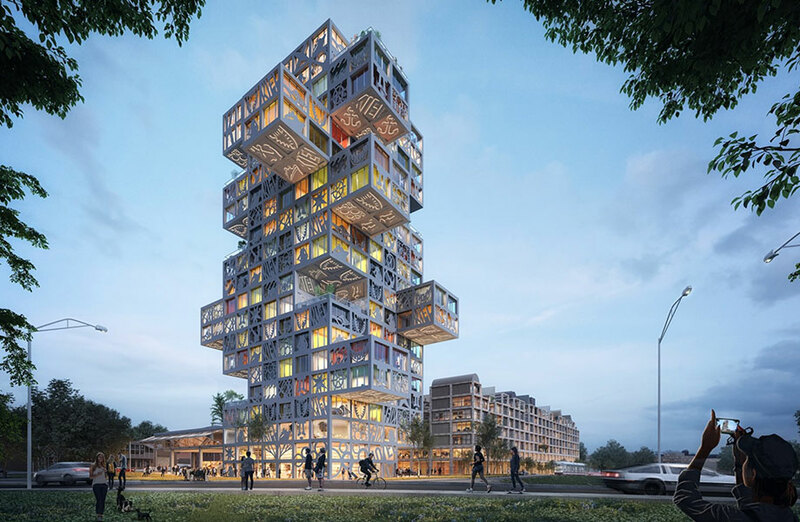 “In a location with such a dynamic and creative existing community, it’s obvious that the community should have a say in this development,” MVRDV principal Jacob van Rijs said. The proposal, which includes a hotel, offices, residences, commercial space, and an event space, makes use of a flexible design system, rather than a fixed and unchangeable plan, allowing the design to adapt easily to the needs and desires of the community as the design development progresses. By considering the design not as a fixed concept but as a flexible system, the final building when constructed might fall anywhere on a spectrum of options, explains van Rijs. Client Kap Horn GmbH chose MVRDV as the winning commission for the Kiel project.